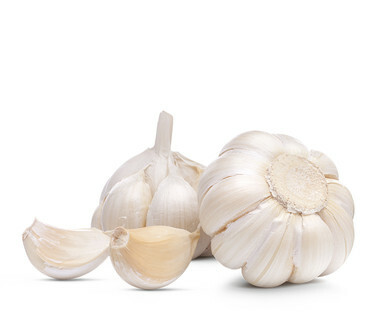 Garlic is low in sodium and fat, but saturated in flavor. Garlic’s trademark flavor and odor comes from its sulfur component, which is further released when pressed, chopped or minced. Fresh garlic should be off-white in color, plump, dry and firm.